Secure your construction site with 6 foot tall premium fencing that inhibits scaling due to our wire configuration, conveys professionalism, and provides the security your project demands. Pricing configurations include variations for: longevity, scrim, and optional accessories to match your project’s needs and requirements. Delivery pricing modifiers might apply due to location or minimal order qualifications. Terminology: Rental = 6 month combined asset fees. 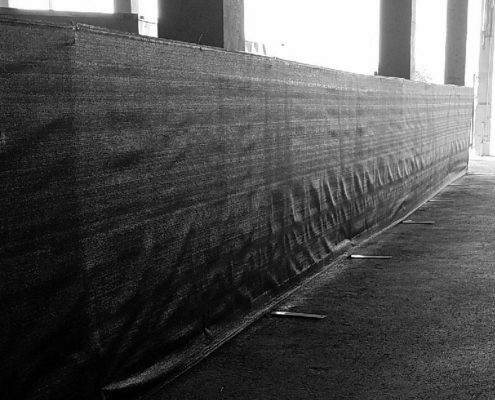 Control, restrict, and protect areas within your event from attendee access using our bike rack barricades that efficiently and effectively put your team in control regarding who, when, and where access can occur. Pricing configurations are simple and straightforward with barricade length driving the majority of the conversation, minimum order, and delivery location considerations to be calculated for your project’s needs. $500 minimum order for free local delivery within 50 miles of Austin, TX. Free delivery on large orders within 250 miles. 50 miles outside of Austin, TX, please call for delivery pricing. 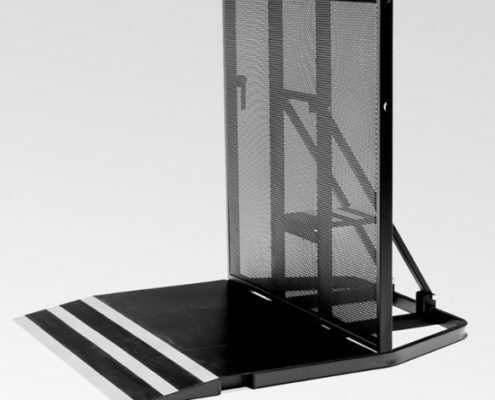 Protect your entertainment assets using 4 foot tall crowd control structures that reinforce themselves with the attendee’s weight, provide superior access control, and all while minimizing visual obstruction to the acts featured upon your stage. Pricing configurations are straightforward based upon required crowd control structure length, minimum order restrictions, and delivery pricing variations. 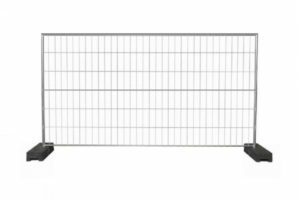 Create barriers that restrict attendee access within, around, or into your event’s areas that need protection and limited access. Our 6 foot tall event fencing is aesthetically appealing, effectively restrictive, and easily customized to fit your event’s needs. Pricing configurations include options for: fencing scrim, sand bags, and exit / emergency gates depending upon your project’s needs and requirements. Additional price modifications regarding delivery location are represented in the Delivery Pricing Variations drop-down section. 1) Simple exit sign over head at open exits ($30 each). 2) Simple exit sign over head at open exits with lighting for night events ($50 each). 3) Closed exit with emergency exit sign on fence and above with a gate wheel ($60 each). 4) Closed exit with emergency exit sign on fence and above with a gate wheel and light above for night events ($70 each). Restrict vehicle access by utilizing our traffic barrier solutions that clearly mark inappropriate areas for vehicle population. Our equipment is effective and efficient when “Don’t Park There”, “Don’t Drive There”, or “I Can’t Believe You Just Did That” is the focus of your communication. Our traffic barricades are resilient and bounce-back with the simple help of event personnel even when “I Can’t Believe You Just Did That” occurs. Understand Your Options. Roadway Will Help You Choose. We look forward to speaking with you soon and appreciate the opportunity to answer any questions regarding Roadway Fence rentals, service, and sales.